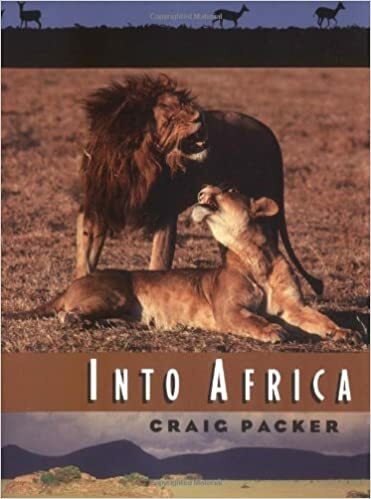 Craig Packer takes us into Africa for a journey of fifty-two days in the fall of 1991. But this is more than a tour of magnificent animals in an exotic, faraway place. A field biologist since 1972, Packer began his work studying primates at Gombe and then the lions of the Serengeti and the Ngorongoro Crater with his wife and colleague Anne Pusey. Here, he introduces us to the real world of fieldwork—initiating assistants to lion research in the Serengeti, helping a doctoral student collect data, collaborating with Jane Goodall on primate research. As in the works of George Schaller and Cynthia Moss, Packer transports us to life in the field. He is addicted to this land—to the beauty of a male lion striding across the Serengeti plains, to the calls of a baboon troop through the rain forests of Gombe—and to understanding the animals that inhabit it. Through his vivid narration, we feel the dust and the bumps of the Arusha Road, smell the rosemary in the air at lunchtime on a Serengeti verandah, and hear the lyrics of the Grateful Dead playing off bootlegged tapes. Into Africa also explores the social lives of the animals and the threats to their survival. Packer grapples with questions he has passionately tried to answer for more than two decades. Why do female lions raise their young in crèches? Why do male baboons move from troop to troop while male chimps band together? How can humans and animals continue to coexist in a world of diminishing resources? Immediate demands—logistical nightmares, political upheavals, physical exhaustion—yield to the larger inescapable issues of the interdependence of the land, the animals, and the people who inhabit it.